On the back of the victory with LA Galaxy in the first game of Manchester United’s pre-season tour, adidas Football and Manchester United brought together entertainment stars from film, music and American sports in an exclusive event at The Highlight Room, Hollywood’s newest rooftop party venue. The event was attended by the United squad, adidas Football’s Tango Squad and a host of U.S. athletes and influencers, including Jamie Foxx, Emily Ratajkowski and music artist Designer. 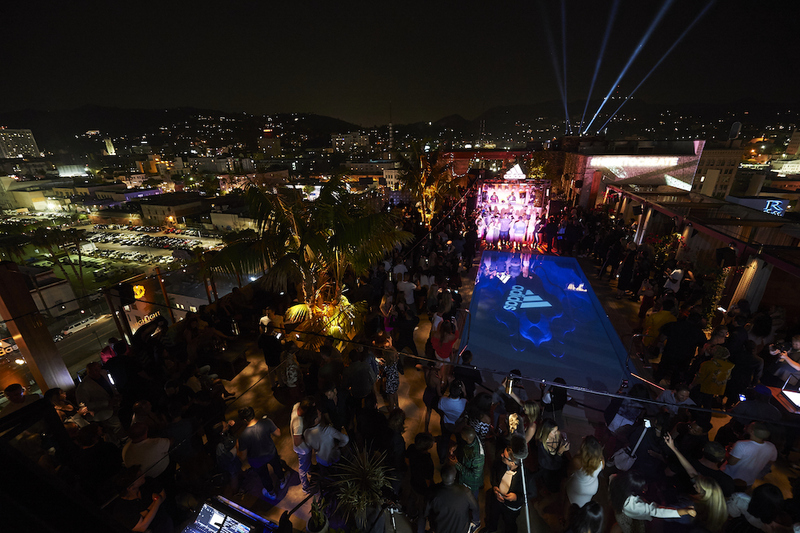 In a true showing of adidas Football’s latest mantra, from stadium to street, guests were treated to a live performance from LA based hip hop artist YG and DJ sets by ESTA and A$AP Lou. Manchester United’s midfielder, Jesse Lingard, commented: ‘Only adidas can bring together such a star studded event. Clearly the focus for us is on football with a busy schedule of games coming up but the event has given us a great opportunity to soak up being in LA and meet so many famous faces.’ United will continue their pre-season tour on 20th July when they face MLS club Real Salt Lake City, before taking on Manchester City, Real Madrid and Barcelona.